Many healthcare organizations would like to be able to send protected health information via email, but how do you make your email HIPAA compliant? What must be done before electronic PHI (ePHI) can be sent via email to patients and other healthcare organizations? Whether you need to make your email HIPAA compliant will depend on how you plan to use email with ePHI. If you will only ever send emails internally, it may not be necessary to make your email HIPAA compliant. If your email network is behind a firewall, it is not necessary to encrypt your emails. Encryption is only required when your emails are sent beyond your firewall. However, access controls to email accounts are required, as it is important to ensure that only authorized individuals can access email accounts that contain ePHI. If you want to use email to send ePHI externally – beyond your firewall – you will need to make your email HIPAA-compliant. 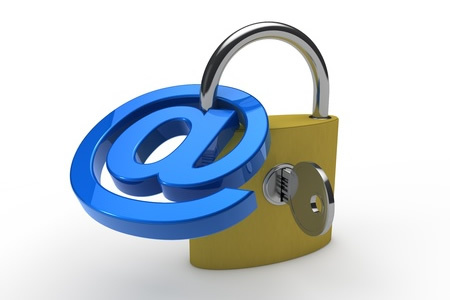 Email is a quick and easy way to communicate electronically, but it is not necessarily secure. Even services that encrypt messages in transit may not have the required level of security to make them HIPAA compliant. To make your email HIPAA compliant you should ensure you have end-to-end encryption, which encrypts both messages in transit and stored messages. Access controls are used to ensure only the intended recipient and the sender can access the messages. Some email service providers require individual emails to be encrypted by clicking a button or using a portal. Since it is easy to forget to turn on encryption and accidentally send an unencrypted email, it is a better choice to encrypt all emails, not only those that contain ePHI. This will reduce the potential for human error. The type of encryption used is also important. While previously Data Encryption Standard (DES) was considered secure, that is no longer the case. You should consult NIST for advice on suitable encryption standards. Currently AES 128, 192, or 256-bit encryption is recommended. For many HIPAA-covered entities, especially smaller healthcare providers that do not have in-house IT staff to ensure their email is HIPAA-compliant, the use of a third-party HIPAA compliant email service provider is strongly recommended. Research potential HIPAA compliant email service providers to ensure that they provide a service that is suitable for your requirements. A search on Google will produce several potential service providers. If you use a third-party email provider, you should obtain a business associate agreement prior to using the service for sending ePHI. The business associate agreement outlines the responsibilities of the service provider and establishes that administrative, physical, and technical safeguards will be used to ensure the confidentiality, integrity and availability of ePHI. If an email service provider is not prepared to enter into a business associate agreement, you should look elsewhere. There are several email service providers who are prepared to sign a BAA to allow them to work with HIPAA-covered entities and their business associates. Even when a BAA is obtained, there are still risks associated with email and it is possible to fail to configure the email service correctly and violate HIPAA Rules. Simply using an email service that is covered by a BAA does not make your email HIPAA compliant. Google’s G Suite includes email and is covered by its business associate agreement. Though G Suite, email can be made HIPAA compliant provided the service is used alongside a business domain. Even if you want to use G Suite, care must be taken configuring the service to ensure end-to-end encryption is in place. Note that G Suite is not the same as Gmail. Gmail is not intended for business use and cannot be made HIPAA compliant. Google does not sign a BAA for its free services, only for its paid services. Once you have implemented your HIPAA compliant email service it is important to train staff on the correct use of email with respect to ePHI. There have been several data breaches that have occurred as a result of errors made by healthcare staff – The accidental sending of ePHI via unencrypted email and the sending of ePHI to individuals unauthorized to view the information. It is important to ensure that all staff are aware of their responsibilities under HIPAA and are trained on the use of the email service. HIPAA Rules on email retention are a little unclear as email retention is not specifically mentioned in HIPAA legislation. Since individuals can demand information on disclosures of protected health information, and email communications may have to be provided when legal action is taken against a healthcare organization, covered entities should maintain an email archive or at least ensure emails are backed up and stored. State laws may also require emails to be stored for a fixed period of time. You should therefore check the laws relating to email in the states in which your organization operates. If in doubt, seek legal advice. The retention period for security related emails and emails relating to changes in privacy policies should be retailed for a period of six years and HIPAA requires covered entities to store documentation related to their compliance efforts for 6 years. Even for small to medium-sized healthcare organizations, storing 6 years of emails, including attachments, requires considerable storage space. Consider using a secure, encrypted email archiving service rather than email backups. Not only will this free up storage space, since an email archive is indexed, searching for emails in an archive is a quick and easy process. If emails need to be produced for legal discovery or for a compliance audit, they can be quickly and easily retrieved. As with an email service provider, any provider of an email archiving service will also be subject to HIPAA Rules as they will be classed as a business associate. A BAA would need to be entered into with that service provider and reasonable assurances obtained that they will abide by HIPAA Rules. HIPAA-covered entities should note that while it may be convenient to send emails containing ePHI to patients, consent to use email as a communication method must be obtained from the patient in writing before any ePHI is sent via email, even if a HIPAA compliant email provider is used. Patients must be advised that there are risks to the confidentiality of information sent via email. If they are prepared to accept the risks, emails containing ePHI can be sent without violating HIPAA Rules. If you are unsure of the requirements of HIPAA with respect to email, it is strongly recommended that you speak with a healthcare attorney that specializes in HIPAA to advise you of your responsibilities and the requirements of HIPAA with respect to email.